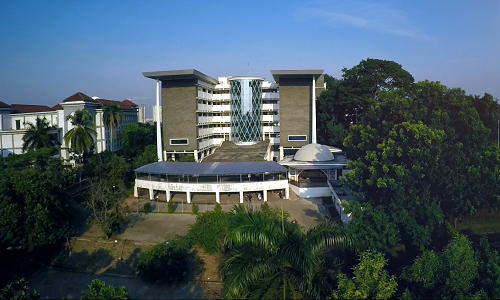 FSH Building, UIN News Online â€“ Rector of UIN Jakarta Prof Dr Drde Rosyada MA urged all civitas academica of UIN Jakarta to channeling their professional zakat through Zakat Service Unit (UPZ) that is available on campus. The collected zakat funds will be distributed in the form of scholarship and community empowerment research funding. 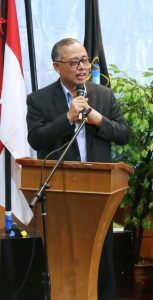 This was conveyed by the Rector during the opening of National Seminar entitled â€œProspek Laku Pandai Perbankan dalam Pengembangan Zakat di Indonesiaâ€, at FSH building, Campus I of UIN Jakarta, Wednesday (6/7). â€œIt would be nice if all civitas academica of UIN Jakarta channeling their professional zakat through our already established UPZ,â€ said Dede. The collected zakat, he explain, will be distributed in a form of scholarship. In addition to tuition fees, scholarships may be awarded in the form of both bachelor and masterâ€™s thesis financing. The priority of students as the target of zakat distribution, he continue, is based on the high need on financing the underprivileged but outstanding students. While scholarship assistance in the form of APBN Scholarship, BLU Scholarship, State-Owned CSR Scholarship, and Ministry and Corporate Cooperation Scholarship cannot fulfill the required scholarship financing ratio. “APBN Scholarship, for example. Per year, we can only help 200 students, while BLU scholarship only able to cover 5% or 400 students. This is not enough for UIN Jakarta level, “he said. According to rector calculations, theÂ ratioÂ of total scholarship to total student reaches 40% of the total students. 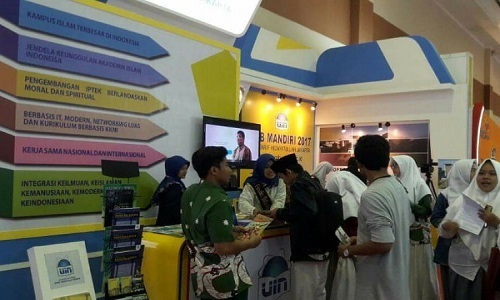 This ratio is at least supported by the socio-economic background of UIN Jakarta students who come from lower middle class and rural students who hope to be able to change their standard of living through education.